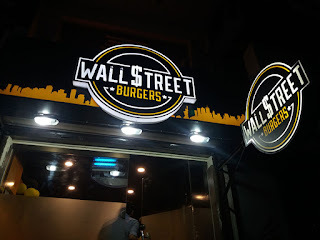 WALL STREET BURGERS - Just Another Burger Joint? If you think the burger is going away anytime soon, you are mistaken. 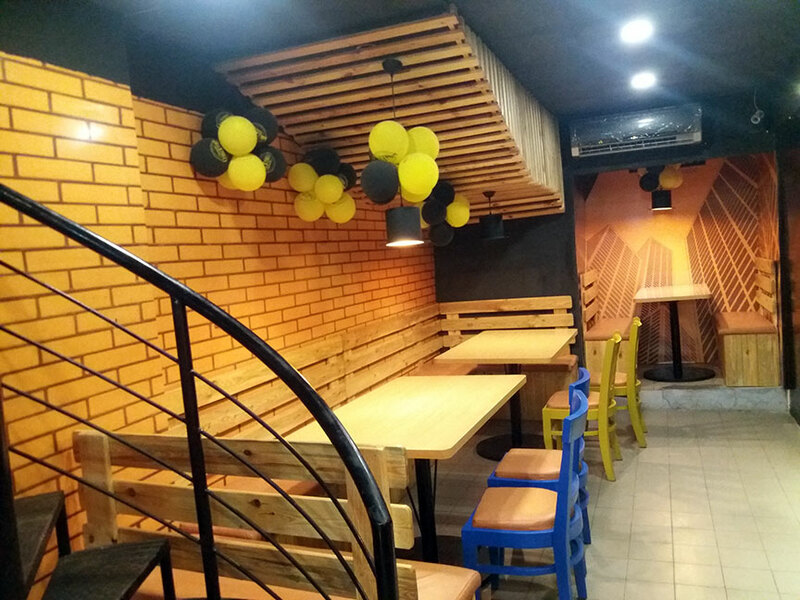 Another brand burger place has opened up in the city. How does one even discuss a burger? Unless you are a burger junkie, which I am not though I don't dislike burgers either, how to you dissect and criticize it? 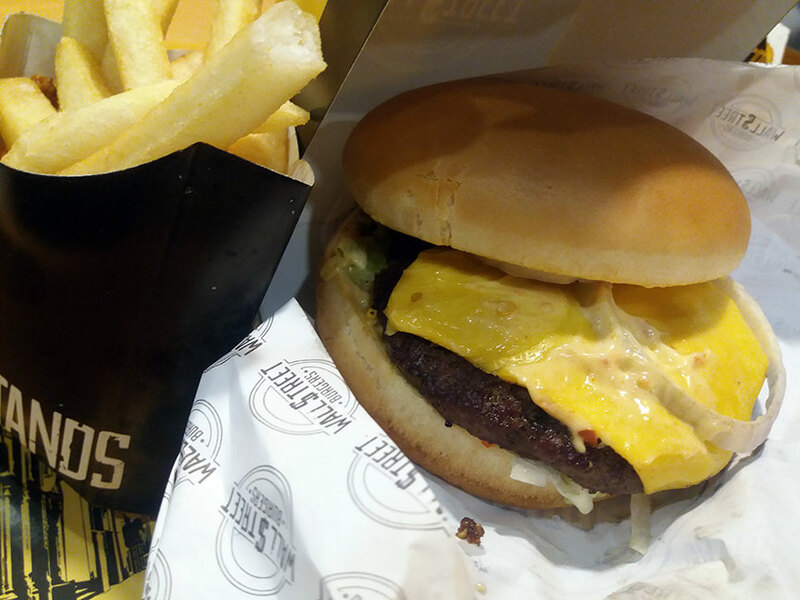 They mostly taste the same, no offense, however once in a while, an astoundingly different burger can be discovered and fill your mouth and senses with joy. 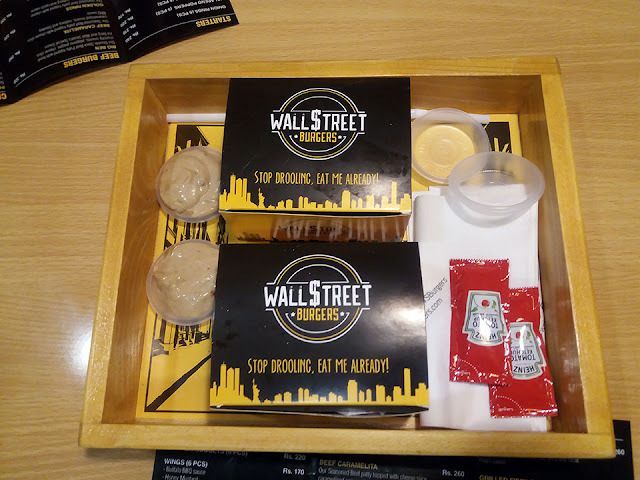 I tasted a few burgers from the recently opened Wall Street Burgers and have some surprising discoveries to share. 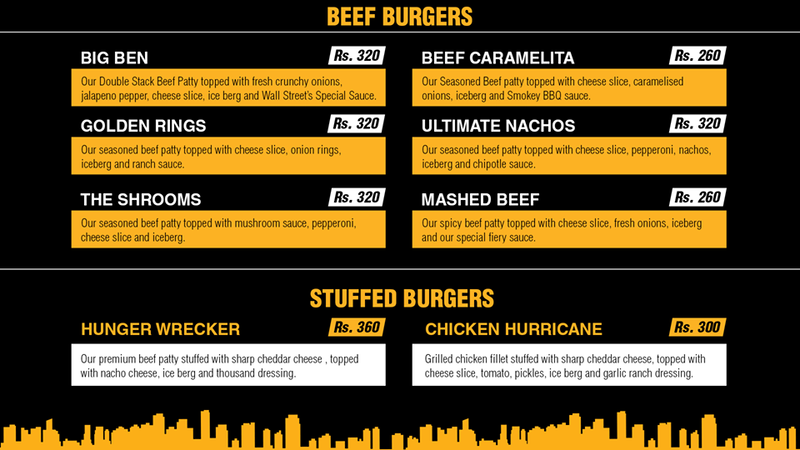 Can a burger overwhelm you? I mean is it just a burger or is it more? Such profound thought for a burger, but a burger can certainly surprise you sometimes. Wall Street Burgers is a newly launched burger joint located in Defence, Karachi. 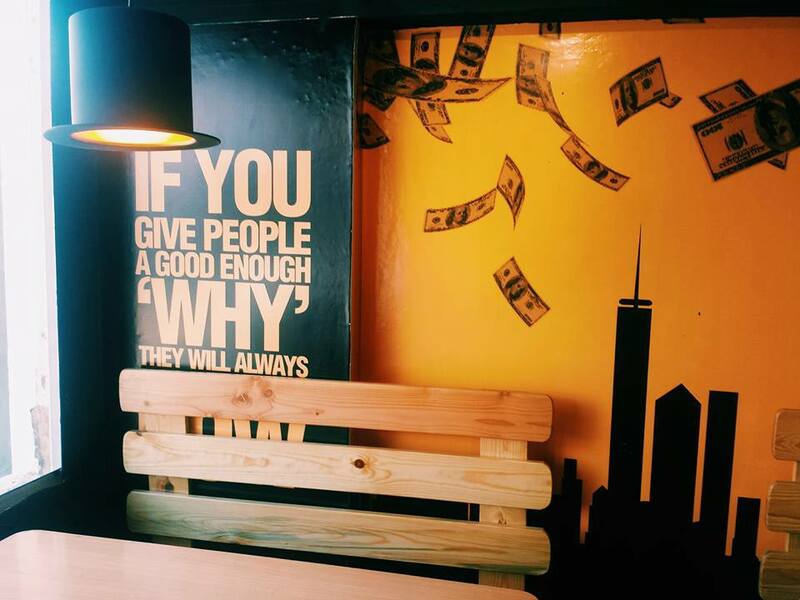 The place is not huge but cosy and has an industrial looking interior (in terms of color) fused with an upbeat outlook with positive yet quirky quotes on the walls. I do think they can do without balloons. Divided into two levels, you can comfortably stuff yourself silly with the burger (or burgers) of your choice. When you review the menu the first thing that will struck you will be the prices. 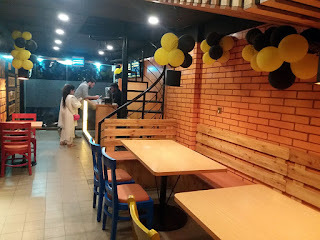 They were super affordable compared to most/ I also like that they kept the main spotlight on burgers instead of everything under the snack roof. 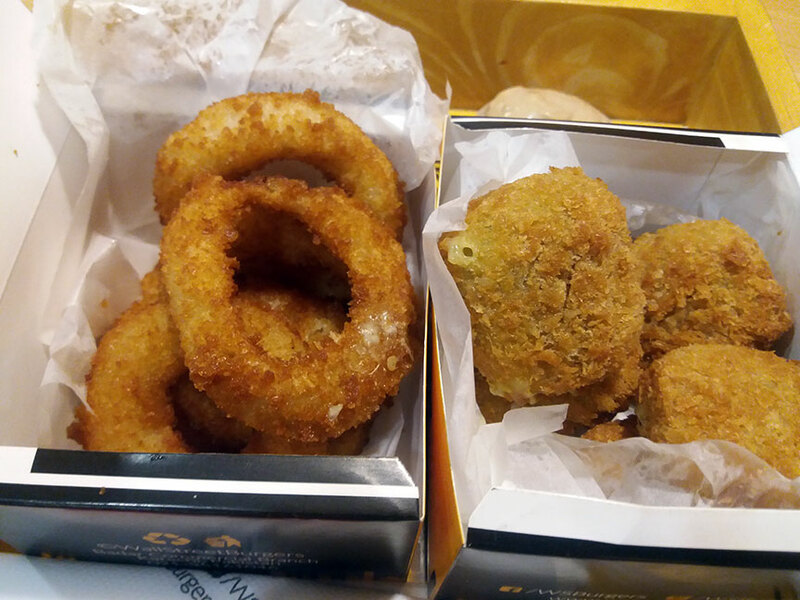 The onion rings were not dripping with oil, hallelujah. However, it didnt blow my mind either and the onions inside was too rubbery to bite into properly so eating it was a bit messy.Not bd though. The dips were spicy and delicious, sort of like a mixture of thousand island with crushed chillis. 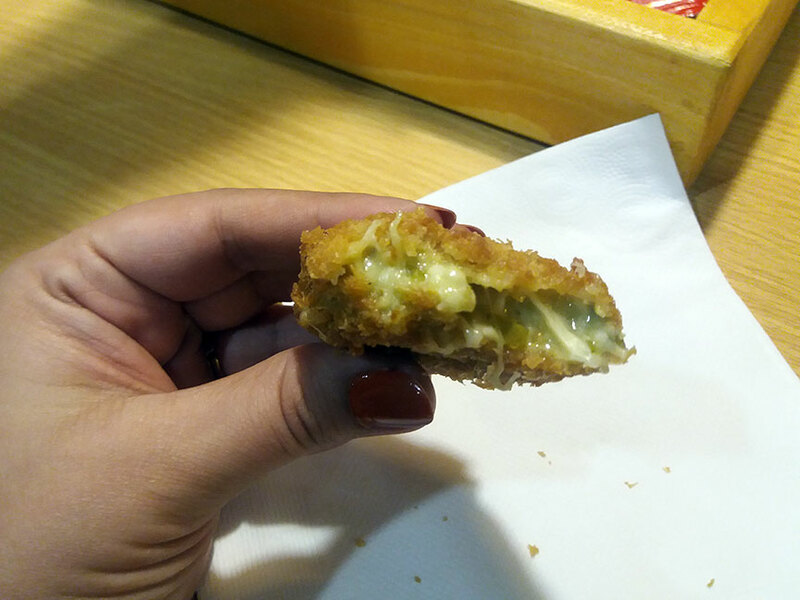 The jalapeno popper were steaming hot and burned my tongue but I loved it. When you go try these anywhere else they are mostly Jalapenos stuffed with chicken or cheese but the ones at Wall Street were in the form of nuggets. You bite into them, letting the cheese with jalapeno ooze into your mouth bursting with flavor. 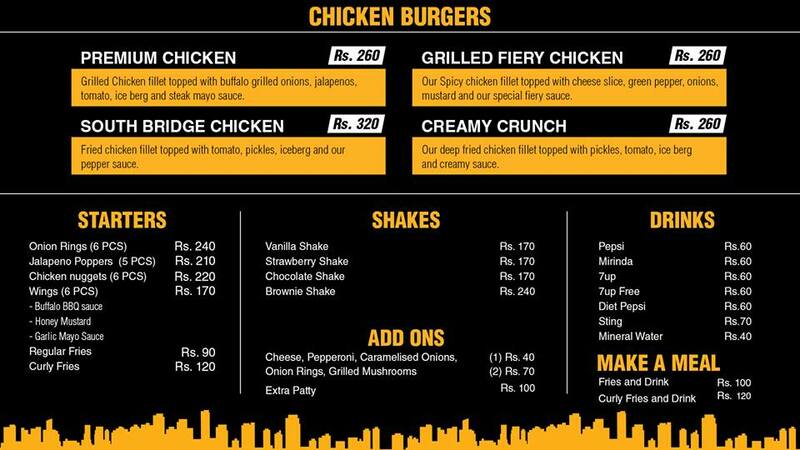 I cant wait for them to start home delivery (drool). "Premium beef patty stuffed with sharp cheddar cheese, topped with nacho cheese, iceberg and thousand dressing"
Ingredients sound simple? Not really, the name says it all. This was the first burger we tried because apparently it's their best seller. I only tried a quarter of this, definitely wrecked my hunger for more, because it was filling and satisfying. Even though it is created with just a few elements, each ingredient stands out on it's own. The stuffed patty tasted home cooked, juicy and just the right size. The patty to bun ratio is very important. The buns, in all burgers, wele niether too fluffy nor crispy, good stuff. The cheddar cheese did not kill the floavour of nacho cheese or thousand island dressing. It actually balanced out the tangy, creamy taste with the iceberg adding that extra light crunch without making it too crispy. Beef was the dominant flavor letting the condiments linger, a good composition and a must try. "Spicy chicken fillet topped with cheese slice, green peppers, onions, mustard and special fiery sauce"
I didn't expect the fullfillment that followed after my first bite of grilled fiery chicken burger. 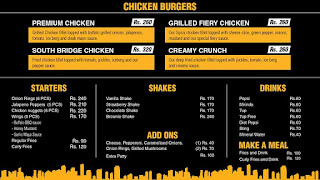 Honestly, every time I chomp into a grilled chicken burger I know I have to be ready for a tugging challenge with the chicken because I rarely encounter ease in just biting it off. Most grilled chicken burgers have hard, rubbery chicken, however, this one just melted into my mouth spreading the fieriness into the depths of my taste buds. The burger has ample of juiciness and the condiments boost the flavor. Mustard is tricky because it can overwhelm and take over the senses, however, it was balanced with the spicy sauce. In terms of levels of spicy-ness it can have more punch. "Spicy beef patty topped with cheese slice, fresh onions, iceberg and special fiery sauce"
The mashed beef was nothing out of the ordinary. 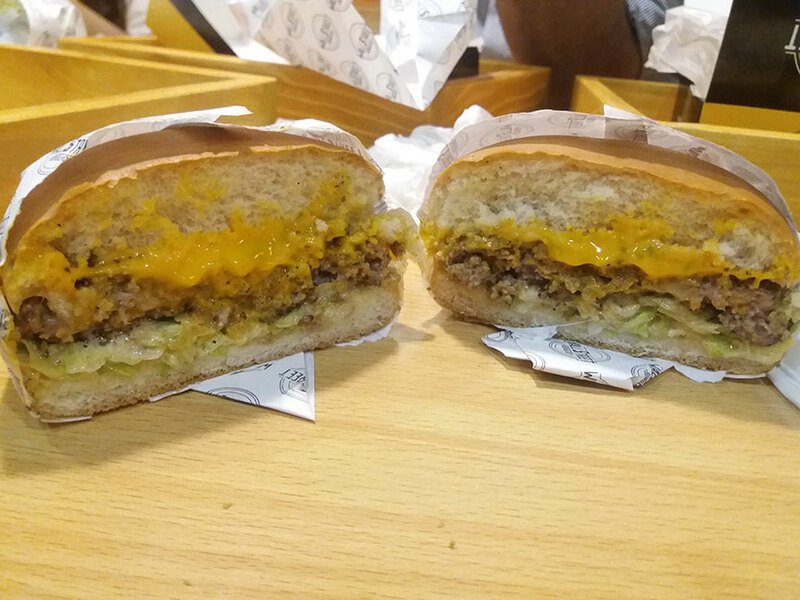 The patty was a bit dry and the peppery taste was overwhelming killing the actual taste of the sauce. The patty to bun ratio was also off, patty being a little smaller leaving more bun to munch on. Not even the cheese could take away the peppery after taste. Has potential if the ingredients are balanced out, perhaps the pepper can be added with the sauce rather than separately sprinkled? "Seasoned beef patty topped with cheese slice, pepperoni, nachos, iceberg and chipotle sauce"
I stared at this burger for a bit before I took a bite. 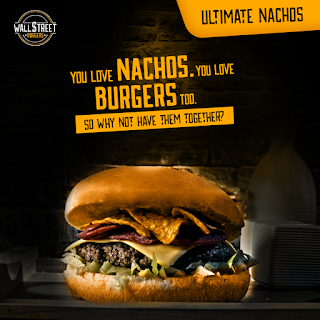 Of course, one is hesitant when there are nachos involved with the beef burger, eh? 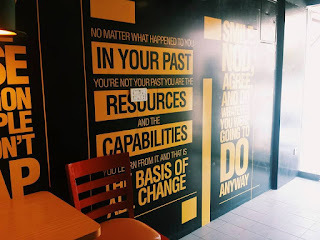 However, one bite and the doubt was history. This burger was an experience. Kind of reminded me of the time when I used to try bun kebabs with chilli chips, in terms of experience not taste. 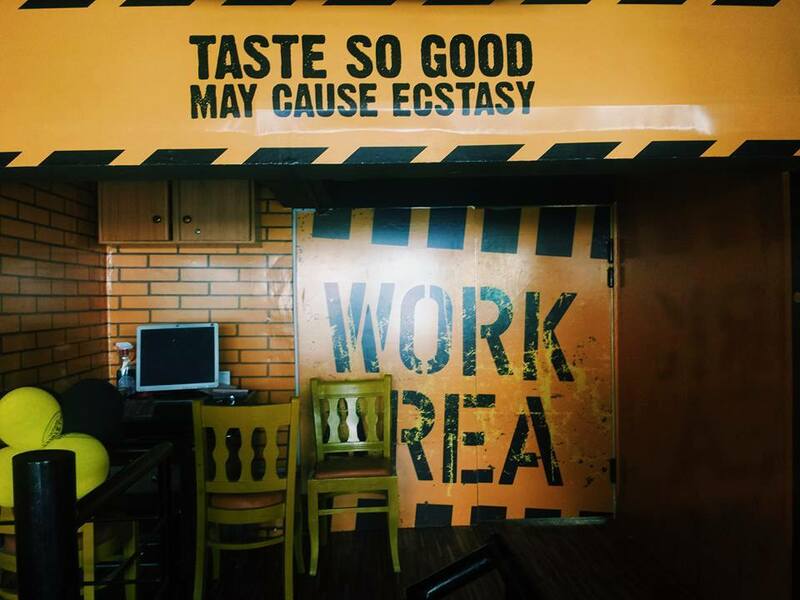 What's amazing is that it doesn't taste bad at all. 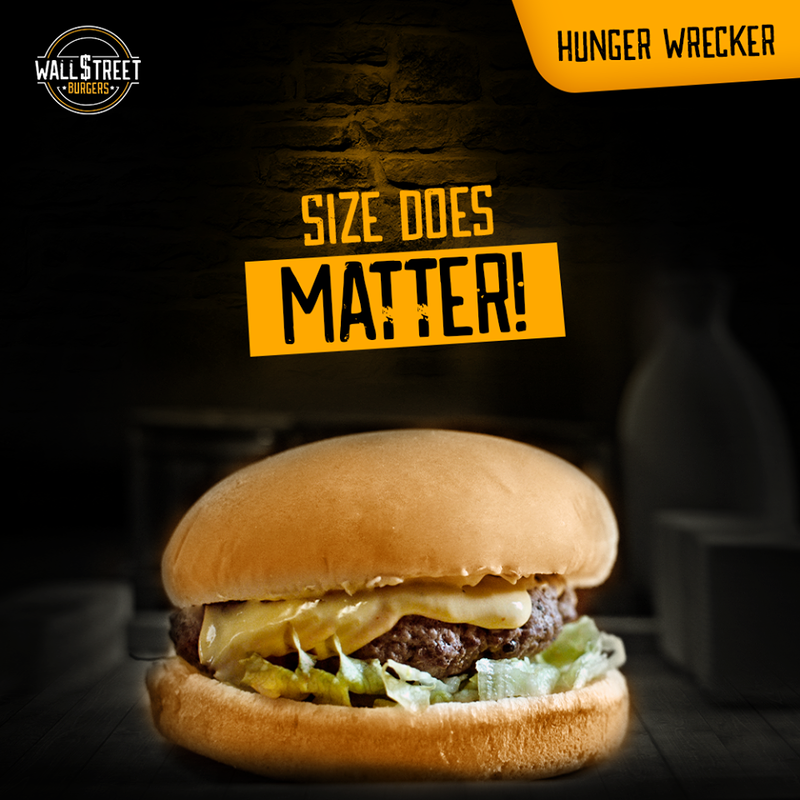 The perfectly cooked grounded beef patty fused with different flavors and texture, an amalgamation that can take you on a gourmet trip. 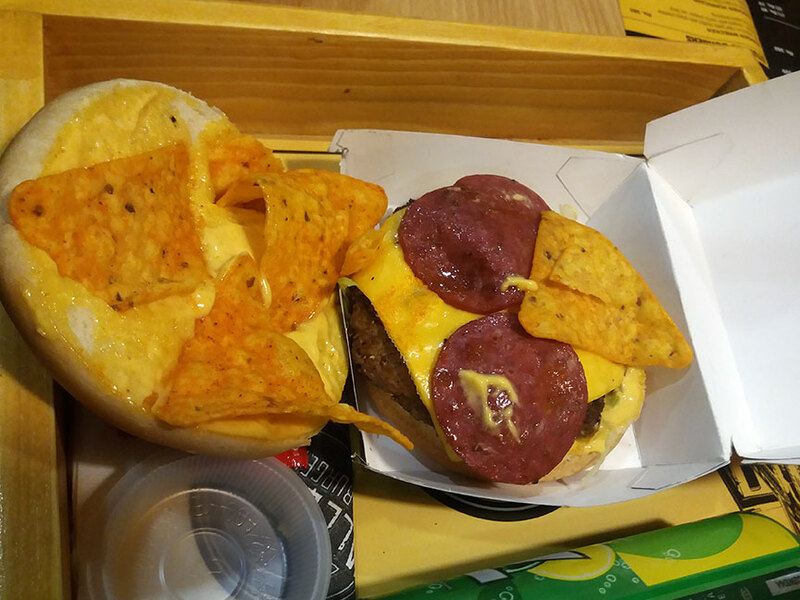 I liked that nacho crunch in every bite but the pepperoni gets bonus points for that slight transition in flavor. 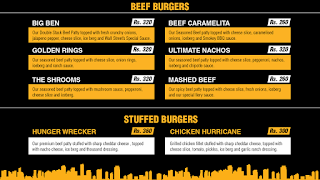 I am waiting for my cheat day to have this alongside the jalapeno poppers! MUST try the Jalapeno Poppers and Hunger wrecker! YES you have to go and try its yum!